Weather generators are usually used to produce an ensemble of climate time series for vulnerability assessments and impact studies in hydrological and agricultural communities. Multisite and multivariate weather generators (MMWGs) have many advantages over single-site counterparts in terms of coupling with distributed models for the assessment of spatial variability in various impact sectors. However, the existing MMWGs usually suffer from limitations in preserving multisite and multivariate dependencies at multiple time scales, as well as preserving the low-frequency variability of climate variables. This study proposes a new MMWG which preserves low-frequency climate variability by coupling annual, monthly and daily weather generators into a single model. Specifically, the daily precipitation and temperature time series generated by a widely used multisite daily weather generator is adjusted using monthly and annual climate time series generated by a first-order linear autoregressive model. This combination preserves the multisite and multivariate attributes, as well as low-frequency variability at monthly and annual scales. The performance of the proposed MMWG was evaluated by comparing the baseline model against that of its variants with monthly or annual adjustments for climate generation. The performance was also assessed using a hydrological model over two watersheds with different hydroclimatic characteristics. 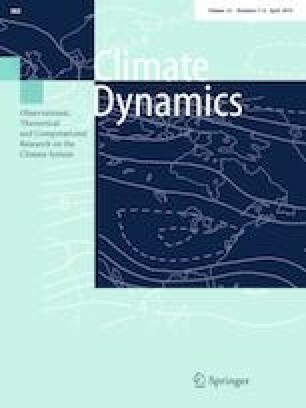 The results show that the proposed weather generator performs well with respect to reproducing the marginal distributional attributes, multisite and multivariate dependencies, and climate variability at the daily, monthly and annual scales. Weather generators with either monthly or annual adjustments (and not both) only improve the simulations in multisite and multivariate dependencies and low-frequency variability at the corresponding time scales. In terms of hydrological modeling, the proposed model consistently performs better than the baseline model and its variants with only monthly or annual adjustments in representing the mean and variance of monthly and annual streamflows. It also performs better in representing the frequency distribution of mean and extreme streamflow events. Overall, the proposed MMWG can effectively produce multisite and multivariate climate time series with low-frequency variability and has a strong potential for use in climate change impact studies. The online version of this article ( https://doi.org/10.1007/s00382-019-04750-z) contains supplementary material, which is available to authorized users. This work was partially supported by the National Natural Science Foundation of China (Grant nos. 51779176, 41811520121, 51539009), the Overseas Expertise Introduction Project for Discipline Innovation (111 Project) funded by Ministry of Education and State Administration of Foreign Experts Affairs P.R. China (Grant no. B18037) and the Thousand Youth Talents Plan from the Organization Department of CCP Central Committee (Wuhan University, China). The authors wish to thank the China Meteorological Data Sharing Service System and the Hydrographic office of Hunan Province for respectively providing meteorological and streamflow data for the Xiangjiang watershed, and the Rio Tinto Alcan Company (Montreal, Quebec, Canada) for providing datasets for the Lac–Saint–Jean watershed.